Expanding the content offering on its devices integrated with the voice-activated Google Assistant, Google has started selling audiobooks in its Google Play Store. 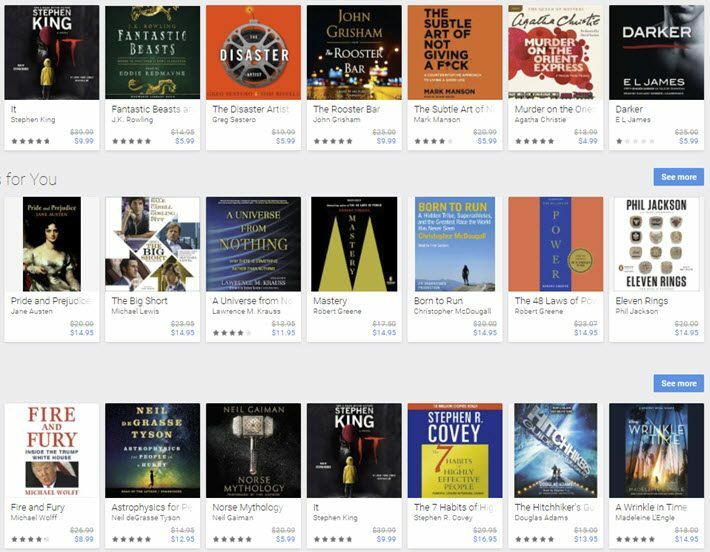 This week, Google added audiobooks to its Google Play Store, an announcement that many in publishing have been anticipating. “Just say ‘Ok Google, read my book’ to listen to your favorite audiobook hands-free with the Google Assistant on your phone or speaker, like Google Home. Try “Ok Google, who is the author?” if you need a refresher, or ‘Ok Google, stop playing in 20 minutes’ to set a timer for bedtime reading. “For now, the Google Assistant integration with audiobooks is available on Android phones and smart speakers globally in English. And it’s interesting that Google Play isn’t only doing without a subscription for now but citing this as a virtue. 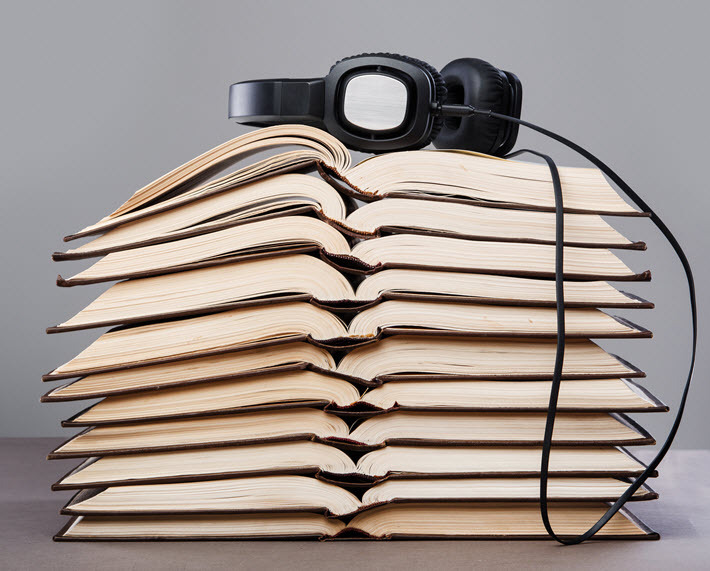 Some of the most successful audiobook programs are unlimited subscription programs—most notably, Amazon’s Audible, as well as services like Stockholm’s Bookbeat and Storytel. It’s interesting that Storytel is also in nine international markets. Google’s initial titles are available, with a selection of high-profile titles on a limited time offer of less than US$10 each, plus a promotional 50-percent off on a new listener’s first audiobook. Of course, audiobooks are the fastest growing format in the US and UK markets, and the growth has been sustained across several years now. Quickly, some points of reference, in case you’d like to review. Here’s our report on the US statistics released last June by Michele Cobb’s Audio Publishers Association after her articulate presentation at BookExpo. 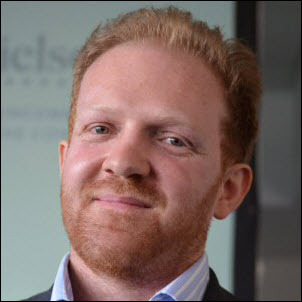 For the UK, this is The Bookseller team’s April story on publishers’ new investments in the audiobook sector, “hiring new staff, upping the number of titles they publish, and exploring audio-first opportunities.” And here’s our story from earlier this month on The Bookseller’s inclusion of a new audiobook category in “The Nibbies'”—the British Book Awards—among Books of the Year. What happened? Freeing the form from its earlier plastic—those CDs, and before those the cassette tapes—seems to have had a lot to do with the turnaround in consumer interest. Downloads and streaming audio now are in sway, and as Nielsen’s Andre Breedt said to Publishing Perspectives in September, audio tends to widen the readership by engaging new readers and even wooing back readers who had wandered off to other entertainments. “The uptake of audiobooks is almost entirely device-led. And I think we have to see this as an example of a format and a business model that’s been all but revolutionized. And it’s helped the book industry find new readers. “And if I had a theme here, I’d say that rather than fighting with each other for market share, the book industry has to remember that it’s fighting for share of attention and share of mind. And it should rather aim to actually grow the pie. The Bookseller in London has established an entire audio track for its annual The FutureBook conference. In December, the 2017 edition of the show featured a dedicated ticket option for conference-goers who wanted just to have access to the “Audiobook Revolution” track, as it was branded. In the States, Jenni Laidman at the Chicago Tribune wrote in November about a “straight-to-audio” trend in which Hachette Audio is asking its key authors for unpublished works that might be suitable to be produced originally as audiobooks. In the US market, Laidman wrote, “Audiobook listeners are a hot demographic, with almost half—48 percent—younger than 35. Edison Research reported listeners completed an average of 15 books in 2016, marking them as avid ‘readers.’ Plus, there’s room for growth in the audiobook segment; 24 percent of Americans listened to an audiobook in the past year,” and 2016 represented a third year of robust growth in the sector for the American market. Where some in the business are looking now has to do with a parallel to ebooks. You’ll remember that the Amazon Chart bestseller lists are being created thanks to Seattle’s ability to track not only which books are selling but also which ones are actually “most read” in Kindle editions and most listened to in Audible audiobook editions. Electronic formats bristle with data and in Sweden, the Bonnier subsidiary BookBeat’s unlimited audiobook streaming service for smartphones is no exception. Here’s the UK site, as a point of reference, launched in 2017. The Swedish and Finnish BookBeat sites were launched in 2016. 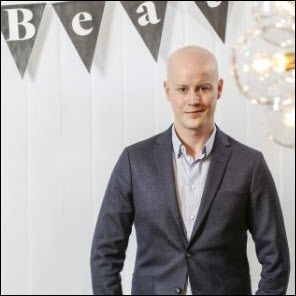 Sandin offers three predictions based on the data BookBeat is gathering and parsing from consumer usage patterns. Here’s the top line for each, and his article has plenty of discussion on all three. The irony of the week, then, may be that Google–arguably the mega-corporation that least needs more data on us–is the one now adding audiobooks. 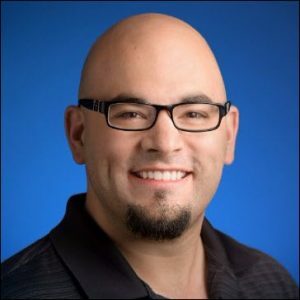 Which will provide Mountain View with even more data.